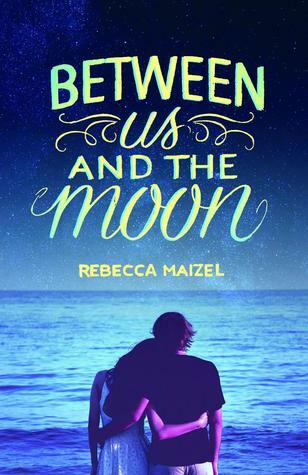 Description: A luminous YA love story that evokes Judy Blume's Forever for a new generation. Sarah—Bean to her friends and family—is an aspiring astronomer and champion mathlete. She lives behind her beloved telescope, with her head in the stars and her feet planted firmly on the ground. For as long as she can remember, she's also lived in the shadow of her beautiful older sister, Scarlett. But after a traumatic end to the school year, Sarah goes to Cape Cod for the summer with her family, determined to grow up. It's there that she meets gorgeous, older college boy Andrew. He sees her as the girl she wants to be. A girl like Scarlett. He thinks she's older, too—and she doesn't correct him. For Sarah, it's a summer of firsts. Before she knows what's happened, one little lie has transformed into something real. And by the end of August, she might have to choose between falling in love, and finding herself. Fans of Jenny Han and Stephanie Perkins are destined to fall for this romantic and heartfelt coming-of-age novel about how life and love are impossible to predict. A stinging rejection from her former boyfriend has her trying the Scarlet Experiment to see if she can be more like her popular, out-going older sister. She meets a boy - well, a young man - almost 20 to her just barely 16 and lies to him about how old she is and about her future plans. Being with Andrew lets her experiment with who she wants to be. They fall in love. She also finds that she can make friends and be more than just the scientist. Of course it isn't that easy. Her relationship with her aunt is strained and her parents don't seem to notice that she is growing up. While Scarlet has a curfew and is under parental supervision, Sarah is left to do what she wants. I think her parents just don't realize that she could be doing something other than being careful, responsible, and serious. This does lead to some nights spent with the boyfriend who thinks she is old enough to make those decisions. Things come to a head at her sister's bon voyage party - with a Titanic theme - which Sarah finds really funny. I thought the ending was realistic. And I was really happy about the way Sarah grew and changed throughout the book. "You always remind me how much I matter. The me on the inside. The one I'm piecing together," I say.